Fun Fact: Kevin participates in community theatre and enjoys the outdoors––having kayaked most of Columbus’ rivers and streams, and hiked in more than 25 of our country’s National Parks. Kevin has more than 18 years of experience guiding clients along their financial life journeys, so they can enjoy their passions knowing they have an advisor keeping them on the path towards their dreams. 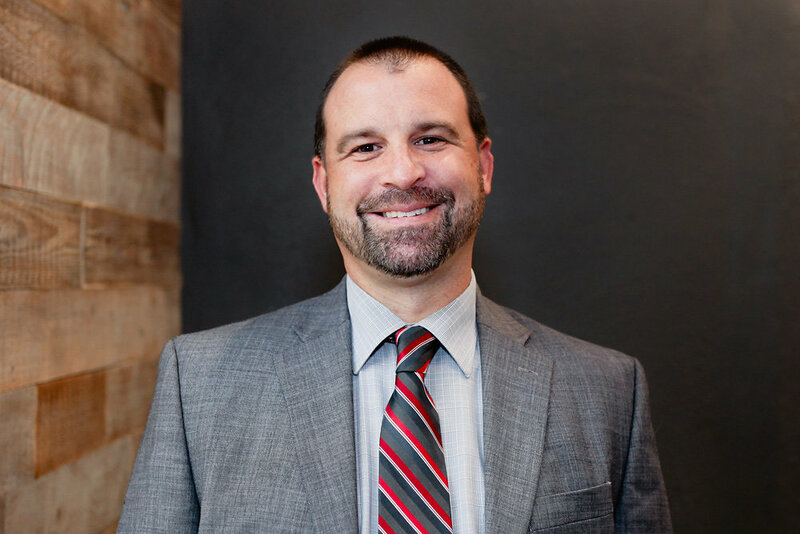 He takes pride in understanding each client’s unique circumstances and working with his team to develop and implement strategies that help them accomplish their goals. Kevin joined Hamilton Capital in 2004 and is part of our Wealth Advisory Team. He organizes, manages and directs the delivery of client services and is also responsible for developing junior advisors. He works directly with clients including high net worth families, young professionals, doctors, dentists, executives and business owners. Kevin develops and oversees the implementation of the overall plan including financial independence planning, investment strategy design, business transitions, tax planning, risk management and wealth transfer strategies. Kevin also has a passion for teaching and has taught personal financial planning as an adjunct faculty member at Franklin University. He enjoys developing the next generation of advisors and educating clients to help them understand the “why” behind the decisions they make. A CERTIFIED FINANCIAL PLANNER™ professional and member of the Financial Planning Association, Kevin is a double Buckeye, graduating from The Ohio State University with both a bachelor and master’s degree in family financial management. Kevin is the past President and current Treasurer of Ohio State’s College of Education and Human Ecology Alumni Society where he was recognized in 2010 as an Outstanding Society Leader. In addition to his passion for work and his alma mater, Kevin is a volunteer with the Cystic Fibrosis Foundation. is being outdoors hiking, camping, kayaking or even just taking our dog for a walk. My wife and I have hiked in over 25 National Parks including Glacier, Olympic and Denali. We have crawled through caves, walked on glaciers, and even hid from bears along our trail. We recently climbed Mt. Yale, one of Colorado’s many 14ers at 14,196 feet above sea level. It was 9.5 miles long with some rock scrambling at the top and definitely one of the top five hardest things we have ever done. Laura and I both had moments when we doubted ourselves, when one or the other wanted to turn back. But, with encouragement and guidance from each other, we persisted and met our goal. Without a little guidance along the way, we probably would not have reached the summit. The best part of being a financial advisor is seeing my clients reach their summit. They work hard to achieve their goals and dreams, and I am honored every day to be in a position to offer the guidance they need to get there.